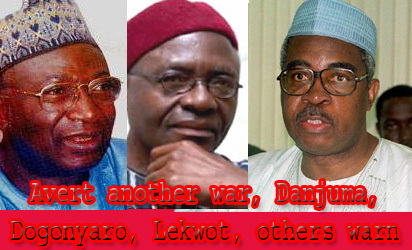 RETIRED military generals and other Christian elders under the aegis of National Christian Elders Forum, NCEF, have expressed sadness that Nigeria was drifting towards a needless conflict that could culminate in another war if not well managed. Gen. Joshua Dogonyaro (retd), Gen. Zamani Lekwot (retd) and Gen. T. Y. Danjuma (retd) Rising from a meeting in Abuja, where it reviewed unfolding events in the country, the NCEF, a group of eminent Christian elders, including Elder Solomon Asemota, Gen. Joshua Dogonyaro (retd), Gen. Zamani Lekwot (retd), Elder Moses Ihonde, Gen. T. Y. Danjuma (retd), Elder Shyngle Wigwe, Dr Chukwuemeka Ezeife, called on Nigerian leaders to tread softly to avoid a pending implosion. In a statement issued after the meeting, signed by its chairman, Elder Solomon Asemota, SAN, NCEF noted with concern the budding constitutional crisis in the country, and said the threat of another major ethnic conflict, occasioned by the Indigenous People of Biafra (IPOB) call for secession and the response of Arewa Northern Youths for the eviction of the Igbo from the North, the agitations for fiscal federalism and resource control, among many other regional agitations, could set the country on the path of war the nation could not afford at present. The group also observed that “conflicting signals emanating from the Presidency and the Senate as well as the unrelenting attacks of Boko Haram and Fulani herdsmen,” have not helped the situation, noting that the Presidency appeared to be at war with itself and in conflict with the National Assembly. It said: ‘’It’s preposterous that with the wide expanse of land available in the North, the government is sponsoring grazing reserves for Fulani herdsmen across the nation. ‘’Apart from the injustice of government promoting one trade over and above other business interest groups in the country, the NCEF cannot understand the rationale behind the action of some state governors who are willing to release the ancestral land of their people as grazing reserve. “If grazing reserve is a must for the Fulani herdsmen, instead of ranching which is the international best practice, NCEF recommends that Sambisa Forest should be given to the Fulani herdsmen.” NCEF contended that while the economy was stagnating, Nigerians were losing their jobs in millions, as insecurity in the form of insurgency, kidnapping, armed robbery, as well as cyber crime continue to ravage the land. “To add to the problems of Nigeria, the President has been on medical vacation for some time now. Nigeria seems to be going through its worst crisis since it became an independent nation,” the statement noted, even as the group joined all well meaning Nigerians to pray for the health of the President. Noting that the nation appeared more ill than the President, the Christian Elders urged that more prayers and intercession be made to the Almighty God for Nigeria. “As distressing as the situation is, it would appear that many Nigerians are still unaware of the real issues at stake. The NCEF wants Nigerians to be alert and focus on the reality of what is actually occurring in Nigeria. Jihad “The real problem with the country is that JIHAD has been launched in Nigeria and Islamists that have been interfering in the governance of the country using “Taqiyya” (approved deception) as “Stealth/Civilization Jihad” and Boko Haram and Fulani herdsmen as violent Jihad, are relentless in their pursuit of eradicating democracy in Nigeria. 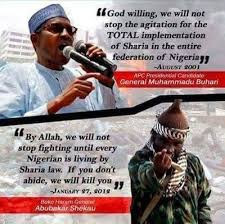 “The objective of the Islamists (Political Islam) is to supplant the constitution of Nigeria with Sharia ideology as the source of legislation in the nation. The conflict between democracy as national ideology and Sharia as a usurping ideology is responsible for the crisis unfolding in Nigeria. The nation is in the throes of Jihad,” it stated. The Christian elders considered it imperative in the interest of the over 389 ethnic nationalities in Nigeria and the over 180 million citizens that the conflict is resolved in favour of democracy in place of deliberate violations of the Constitution and Rule of Law as well as judgments of courts. According to the Christian elders, one key indicator of the tension between democracy and Sharia is the conflicting signals emanating from the Presidency. “The Buhari/Osinbajo Presidency is the result of a democratic process. The subtle attempts to undermine the office of the Acting President, as evidenced by an unguarded statement recently by a government functionary, is an indication of a competing ideology which is conflicting with democracy. “Our founding fathers signed on in Nigeria as a democratic country in order to guarantee justice, equality and fairness for all citizens. They did not sign on for a Sharia ideology that promotes discrimination, persecution, division and oppression on the basis of religious belief and sectional ethnic identity. This is not the dream of our founding fathers; neither is it our aspiration. “Therefore, the NCEF is calling on all Nigerians, at home and abroad, to join in the call for the supremacy of the Nigerian Constitution. Every action of the present administration that violates the Constitution, particularly Section 10, Section 38 (1) and Section 14 (3) which specifically relates to the principle of federal character in appointments should be reversed and all cases of injustice, inequality and unfairness in government appointments should be redressed forthwith,” it further stated. The Forum noted that almost every key position in security and education is held by Muslims from the North, arguing that such “is a flagrant violation of Section 14 (3) of the 1999 Constitution (as amended). It stated: ‘’Meanwhile, the Security forces are unable to arrest and prosecute the Fulani herdsmen while Boko Haram operates unabated. We demand compliance with the constitution. 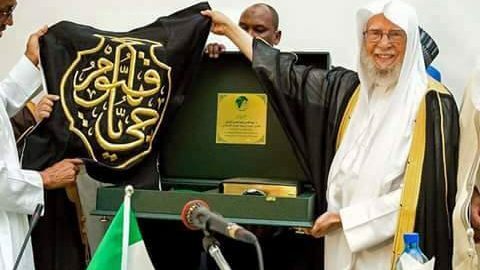 “The NCEF is alarmed at the audacity and impunity of the Islamists in Nigeria to attempt to forcibly transform Nigeria from a democratic nation into an Islamic theocratic state. The NCEF wishes to alert Nigerians that all the sectional appointments in security and education are not mistakes but intentionally designs to place Islamists only in strategic positions in Nigeria. “This brazen attempt at Islamization of Nigeria has extended to the introduction of Religion and National Values subject which denigrates Christianity and promotes Islam. ‘’The NCEF joins in the demand that Christian Religious Knowledge, CRK and Islamic Religious Knowledge, IRK, revert to the original status as stand alone subjects. “Nigerians should be ready to prevent a situation in which a group of people not voted for by the citizens wrest control of governance from duly elected government officials. The Buhari/Osinbajo Presidency is a joint ticket and the holders of the ticket must be equally respected, either as President or Acting President,” the statement added. The elders also urged Nigerians to sustain the clarion call for restructuring of the nation for true fiscal federalism, noting that the ongoing debate on restructuring was healthy and hoped that it would quickly resolve the choice between regions or states as federating units. It appealed to the Islamists that want to take over Nigeria to leave Nigerians alone to run the nation according to the dreams and aspirations of the founding fathers. Our nation is a democratic nation and it shall remain so,’’ the Christian leaders vowed. While Arewa Consultative Forum, ACF, said it would not comment on religious matters, efforts to reach the Jama’atu Nasril Islam, JNI, proved abortive, as several calls pulled through the telephone of spokesman of the group elicited no response.